Intertwined Graduation Honor Cord for Graduation. Navy Blue & Gold Honor Cords is wearied by the Pi Theta Epsilon (???) Students . (Pi Theta Epsilon (???) is a scholastic honor society recognizing academic achievement among students in the field of occupational therapy). 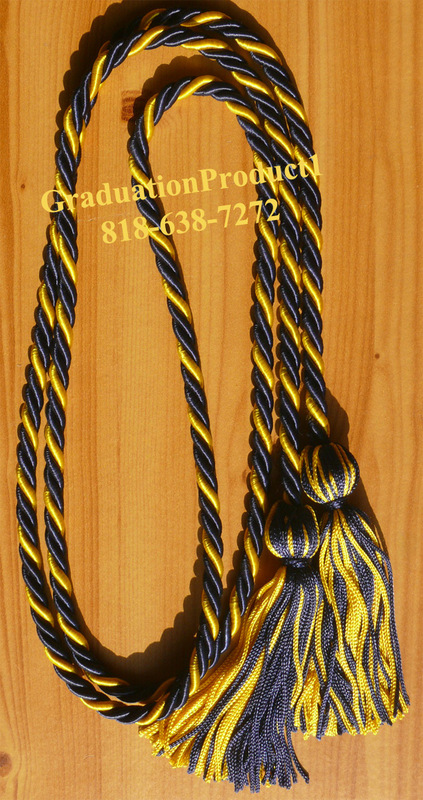 Customer Reviews on "Navy Blue & Gold Intertwined Graduation Honor Cord"
Write you own review on "Navy Blue & Gold Intertwined Graduation Honor Cord"